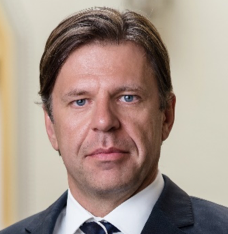 Mr Gyula Ágházi is the CEO of Granit Polus Group and serves on its Board of Directors. Before being named CEO in July 2016, Mr Ágházi was the Chief Financial Officer and later the Chief Operating Officer and was responsible for all of the regional operations of more than 100 legal entities in 9 countries. Prior to joining Granit Polus Group in 2006, Mr Ágházi spent 11 years at PwC where he was advising clients in Europe, Middle-Asia and in the US. Mr Ágházi has university degree and also earned an MBA and speaks Hungarian and English.